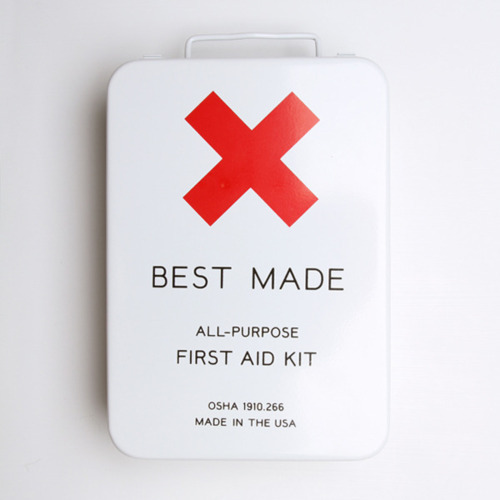 So the very next day, I ordered this first aid kit (above), which, in the world of first aid kits, is by far the coolest, most no-nonsense option you’ll find. Plus, it doubles as a piece of functional art when hung on the wall. It was created by the folks of Best Made, whose entire body of work mixes old-school design elements with salt of the Earth values. (You might remember their hand-painted axes people went nuts for a few years back.) 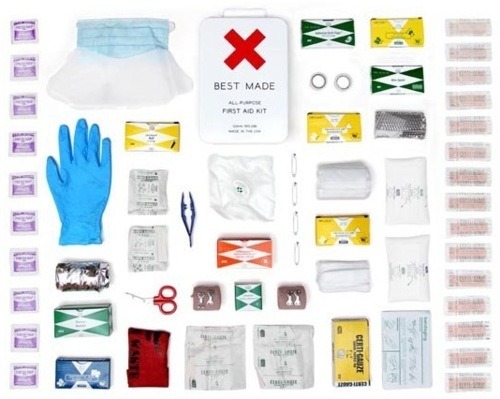 Did I really need a designer first aid kit? No. But am I prepared for the next adventure Mother Nature throws my way? Yes. And that’s all that really matters (right, Dad?). This entry was posted in Uncategorized and tagged best made company, heather summerville. Bookmark the permalink.